Pottersfield Press is a small, Canadian publisher, located on the east coast, in Nova Scotia, remarkable for the quality of the books that it produces. 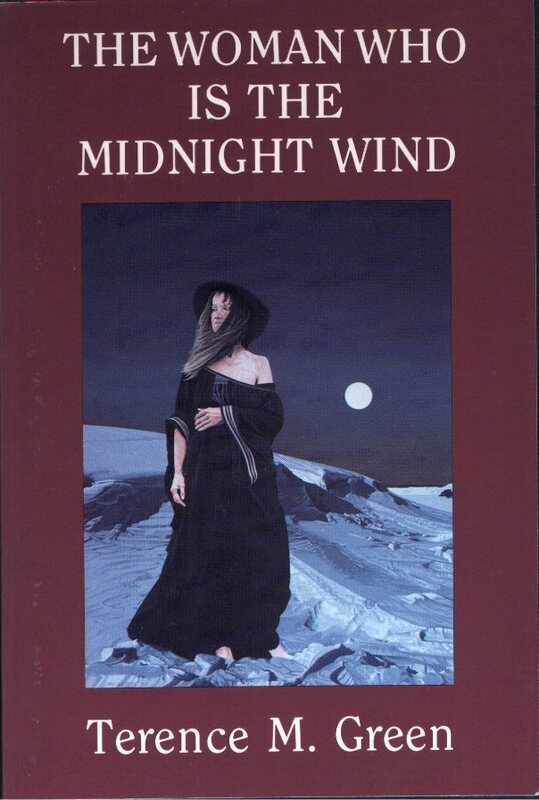 The Woman Who is the Midnight Wind is no exception. After agreeing to publish the book -- my first short story collection -- the man behind the scenes at Pottersfield, the inimitable Lesley Choyce, told me he had "an excellent painting... by a Norwegian painter from Devil's Island in Halifax Harbour," sent me a slide of it, and asked what I thought about using it as a possible cover for the book. I told him I thought it was wonderful. This portrait of an alienated, isolated woman, standing against a bleak, almost otherworldly landscape, definitely set this collection of speculative fiction apart, and, I believe, was instrumental in bringing it to the attention of the larger world of Canadian Literature, where it has been -- and continues to be -- so favourably received.